A recent RACQ survey has revealed a concerning number of drivers are unaware of a cyclist’s rights on Queensland roads. The survey of 1,000 drivers showed less than half of respondents knew cyclists had the right to ride alongside cars directly on the road as well as footpaths. RACQ Media Advisor Anna Hilton says drivers need to familiarise themselves with the road rules surrounding cyclists which were updated 12 months ago. “The important thing here is for any motorist to keep up to date with road rules and to take refresher courses, even when they aren’t due for a license renewal,” Hilton said. CEO of Cycling Queensland, Sean Muir says he is surprised by the results of the research. 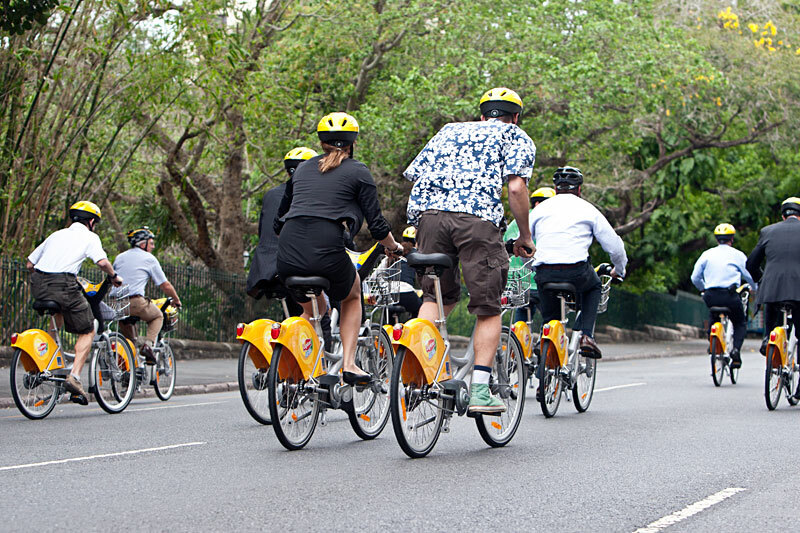 While a lot of attention is placed on Queensland drivers to take notice, CEO of Bicycle Queensland, Ben Wilson is calling for cyclists to play their part as well. “Cars and bicycles obey the same road rules and any failure to understand road rules is likely to be a safety negative for everyone,” Mr Wilson said. The number of cyclists on our roads is increasing by around 10 percent per year. “It’s just as important for cyclists to remain are patient, courteous and forgiving and it’s just as important they keep that in mind too,” Wilson said.